The doyen of Class 117 Pressed Steel units, L400 (51332, 59484 & 51374) passes Evenlode with the 2B60 16:33 Reading to Moreton-in-Marsh service on 25 April 1984. 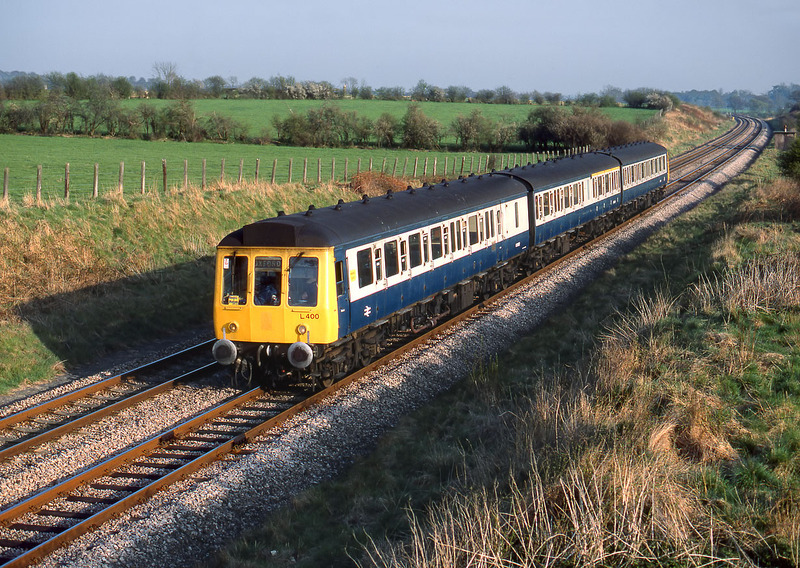 This and a similar service in the morning were the only trains to call at the smaller Cotswold Line stations: Combe, Finstock, Ascott-under-Wychwood & Shipton. Note that there is some slight inattention to detail here, as the destination blind displays Oxford, through which the unit had already passed nearly an hour previously!